... but some collected yesterday made for a fine breakfast. 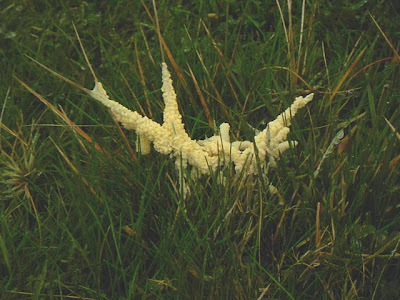 One yellow mould type fungus is plentiful. I've seen this before and spent much time looking it up without success. It wraps itself around blades of grass; I imagine there's a Latin name that would be forgotten when the season comes round again next year. But the most common of all fungi on this sheep dominated land are those that the keen fungi lovers care little about. 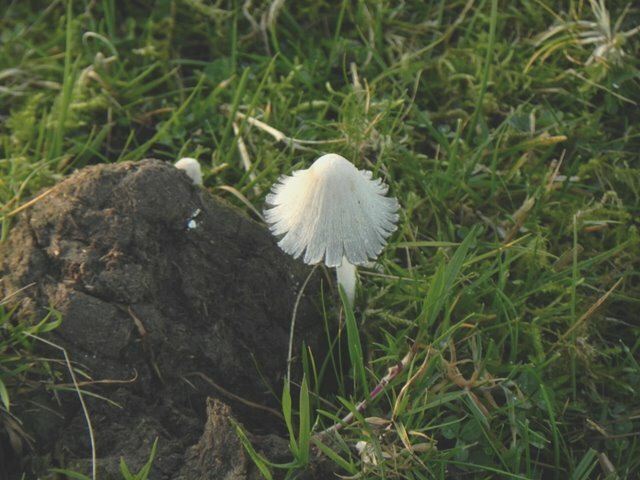 They are the less favoured dung mushrooms. 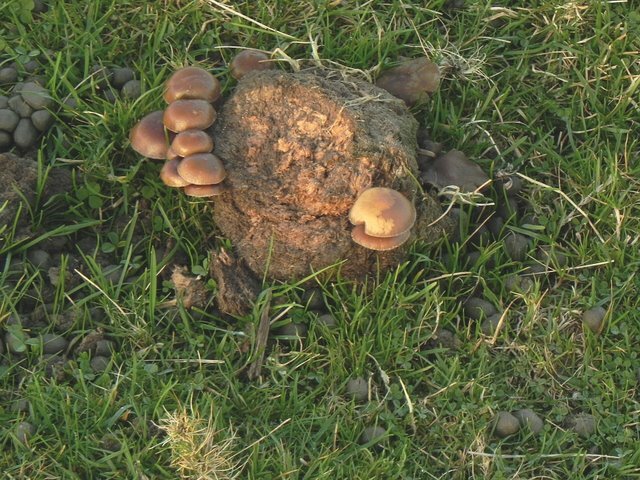 They are everywhere as is their host the dung itself which adds nothing to the appeal of the site. This of course raises the issue of management again. Apologists for conservation grazing will claim that you must have sheep grazing or you wouldn't have the mushrooms. I've questioned this before. Sheep destroy the other potential appeal of the land - they eat all the wild flowers before they get to bloom. See the pictures from last year. I fully accept that stopping all management for good would eventually lead to many changes including more trees and less short grass. It would also lead to many other attractions and benefits - not all of them easily predictable. 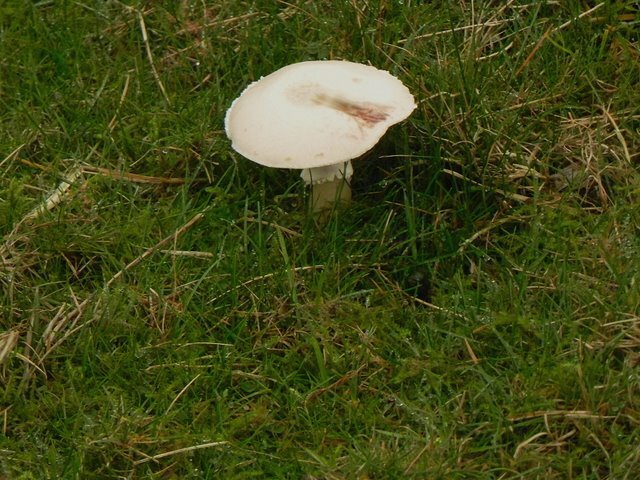 There are other ways to keep the waxcaps than having continuous sheep grazing every month of the year and some of them would enable a more interesting and natural vegetation to develop which would have to be an improvement on what we have now. 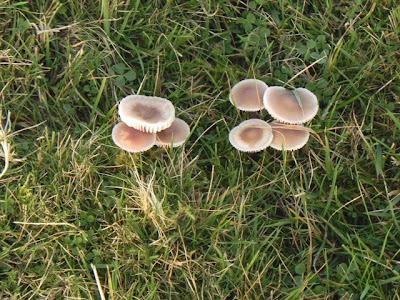 A little focused management in certain defined parts of the site done quickly at a chosen time of year - say early September - and preferably by hand and by the keen fungi enthusiasts themselves would not have the same devastating effect on the landscape produced by the present policy of default sheep crop-and-crap management. It also would have another benefit: it would lead to a more honest association between modern man and the man-made landscapes. 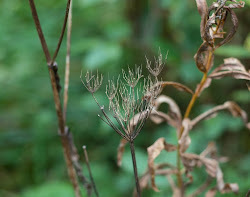 If certain humans want to conserve those attractive aspects of artificial landscapes then they should show their enthusiasm directly using their own labour - not by handing responsibility over to a clumsy inefficient and unfocused farm subsidy bureaucracy that brings all sorts of negative impacts both on the land and generally on the national life. An edition of BBC Radio 4’s Open Country programme this week revealed that some of the waxcaps were nowhere near as scarce as had been thought. 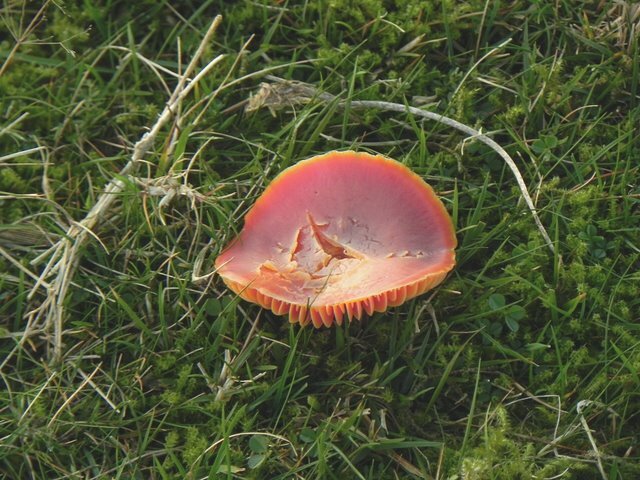 Once it had been put about that the Ballerina waxcap was rare and endangered lots of people went out and found them happily growing. 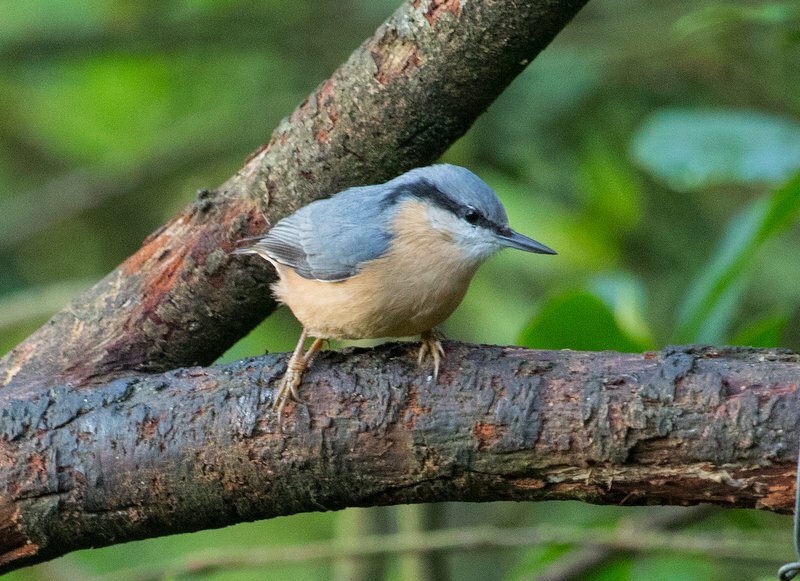 That says something about the biodiversity and ‘saving species’ agenda – one that usually results in calls for more management. The over use of fertilisers is, of course, one feature of management shown to harm these mushrooms. It was also interesting to learn that the nutrition in the soil is not necessarily the key factor for them and that may be an association with the roots of grass.